A toast to Jim Rice, voted into the Hall of Fame. Rice was so powerful he snapped a bat in his hands on a check swing ~ twice. He once hit a home run out of Fenway Park to the right of the center field flagpole. Tom Yawkey said it was the longest he'd ever seen hit at Fenway. 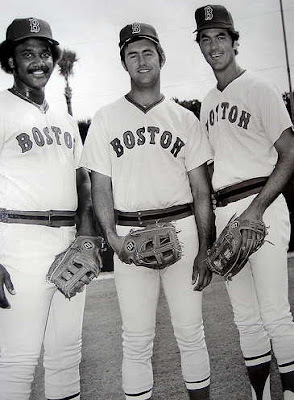 Rice, Fred Lynn and Dewey Evans formed one of the great outfields ever. Their picture above was taken when the world was young. 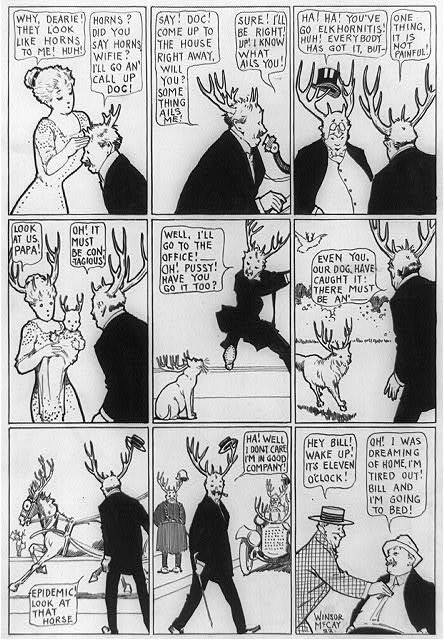 In their honor Irish Elk turns back the clock to the summer of 1975.